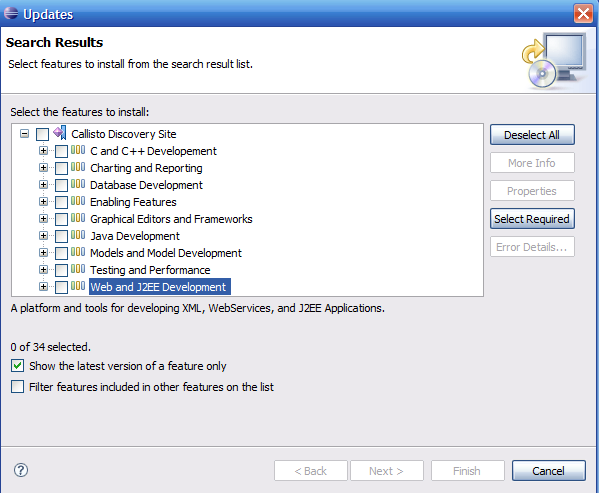 I will take the Eclipse Webtools Plugin to describe the 2 “normal” ways of installing Eclipse Plugins. In the next section I will show how the same can be done in a “easy” way. One of the common method of installing is to copy the contents of the “features” into the “features” folder of eclipse, and do the same with the “plugins” folder. The other way of installing, which Eclipse also recommends is via the Update Manager. You can choose the components you wish to install, choose the dependent plugins etc. In this process, generally you select the default installation location specified by the wizard. The disadvantage with this approach is that it never works well in a low bandwidth environment. I have struggled so many times to install via update manager, somewhere its gets stuck and I am left with a partially installed, corrupted environment. Now for the “Easy” way of installing Eclipse Plugins. Very few people are aware of this concept and Eclipse somehow doesn’t seem to document this approach anywhere. 2. Create a new file inside this folder and name it as say wtp.link. Note that the file name can be any valid string, but the extension has to be link. The string should always start with “path=” keyword. The file (i.e wtp.link in our example) should exist in the “links” folder. It is recommended to create link files only for big plugins/applications. For small plugins you can create just one link file, say misc.link and copy all the small plugins to the path referred by this link. Restart Eclipse and now all the plugins and feature descriptions should be read from the path referred by the “link” files. The “Copy” approach just bloats the eclipse installation and you cannot remove/uninstall the plugin easily. With links approach, you can just remove the “link” file and the plugin is uninstalled !! 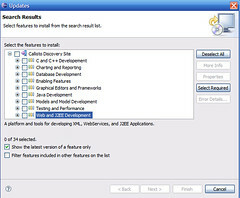 The same links directory can be used in another eclipse installation. For e.g. if you are working with Milestone or different version of Eclipse, you can just copy the links folder (containing .link files) and the plugins are installed. It is very easy to manage different versions of a plugin. If a new version doesn’t work, reverting back to a previous version is pretty easy. 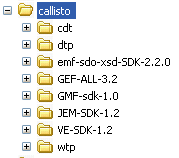 Also, if you use the update feature in Eclipse, you can choose one of the above folders as the installation directory.